How to Convert MS Access Database to CSV both MDB / ACCDB File? Microsoft Access is a relational database as well as an application development platform used all over world wide. Access Database comes with the full package of Microsoft Office suite. By default, the 2003 and below Microsoft Access version use .mdb file format to save database files. And when it comes to Microsoft Access version 2007, 2010, 2013 & 2016 it uses .accdb file format. Although, you can convert and export your database into other formats to work with it in different applications. 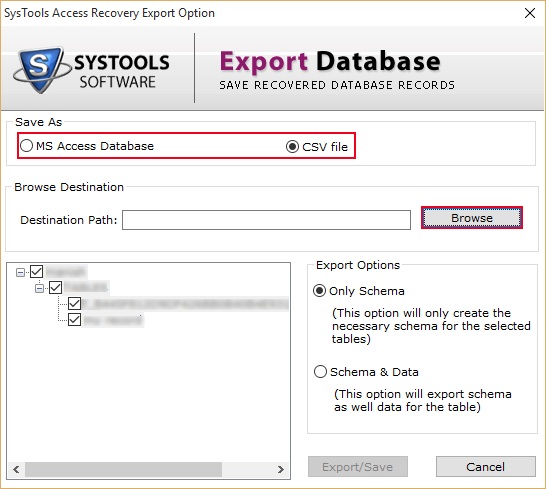 Here, in this article, you will get to know how to convert ms access database to CSV file. We will focus on both to export csv from access MDB / ACCDB file. CSV file is basically a Comma-Separated-Value file that stores all tabular data in plain text. Tabular data can be numbers, text, data stored within various databases or we can say records within tables. In CSV file each line is a data record and every single record contains one or more than one fields that are separated by the comma. CSV is a common format used for sharing/exchanging data in between consumers, in organization or business, and also in various scientific applications. Widely supported all over the world at a different platform. CSV file can be easily opened in any Text Editor(notepad, WordPad, excel, etc.). Reading and Writing in CSV File is easy. How to Convert MDB to CSV file Manually? You might be thinking what about MS Access 2010 or other versions that save database file to .accdb format ‘how to convert’. No need to worry we will first discuss how to convert ACCDB file to MDB and then convert this access database .mdb to CSV. Step3: Firstly, Save database as .accdb format. GOTO File menu >> Click on ‘SaveAs’>> Enter name >> Choose Location to save. This option is to create a new copy of Access database file. Step4: Now convert it to .mdb format. GOTO File >>Click on ‘Save & Publish’ >> Choose "Access 2002 - 2003 Database (*.mdb) >> Click on ‘SaveAs’. Now Enter Name and Location to save in .mdb file format. Above step will save .accdb file as .mdb format. Now, to convert MDB to CSV file follow below step. Step5: GOTO “External Data” tab to export MDB file to CSV format. Then In Export option Click on ‘Text file’ button. Now select location to save file and Enter name with .csv extension (myfile.csv). Click on Save finally >> Click OK to access export to CSV VBA. With the help of above Steps, User might easily convert and export access 2010 below version as CSV. Things might change when its come to MS Access 2013 and 2016. You Might face several levels of difficulties using free manual method to export all MS Access tables, databases etc. to CSV. Facing problem to export Access database file as Comma-Separated value file format. 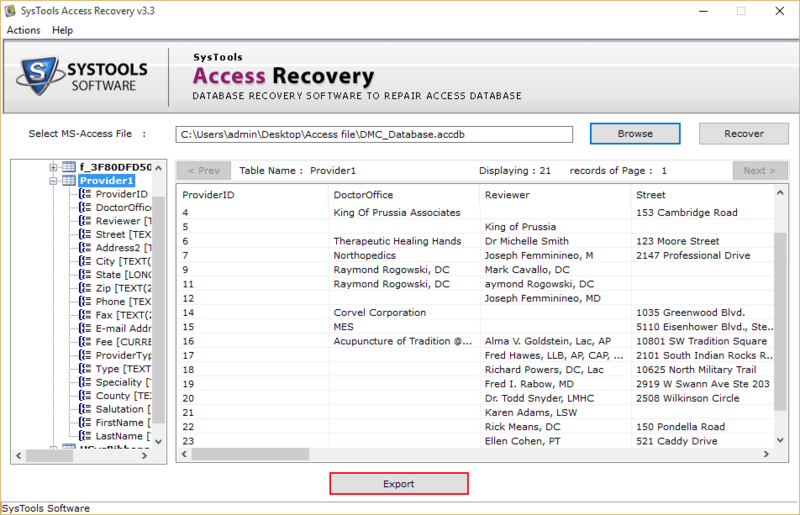 Not getting a reliable solution that can easily within no time remove any type of corruption within MS Access database file and convert MDB to CSV. Here, we come up with a solution to fix all corruption errors from Access database file and successfully export as CSV format without hampering the database content. 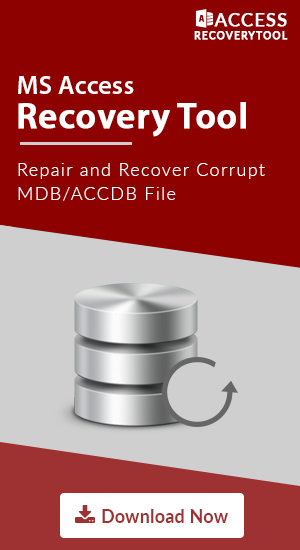 MDB to CSV Converter gives you the option to recover corrupted access database and preview the recovered data. 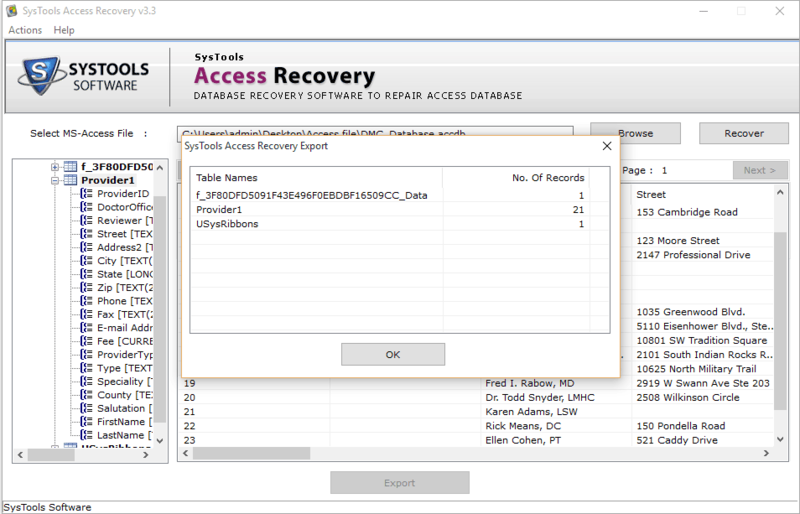 After the successful recovery, Software gives you various option to export MDB / ACCDB file as CSV file. Step5: Choose CSV option to export >> Locate the Destination to save >> Select Schema with data to export structure of table with filled records to CSV format. 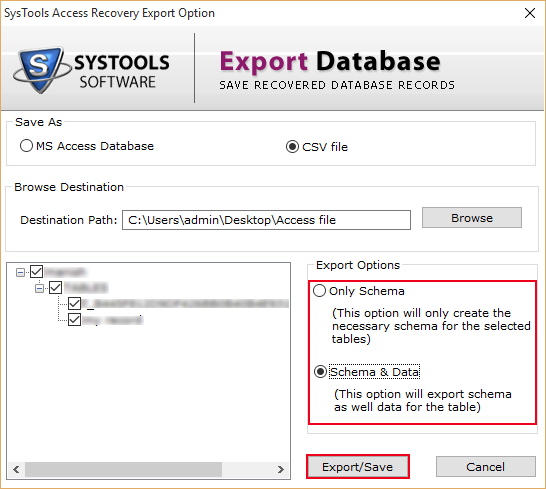 Step6: Click on Export and Save option to save converted database file in CSV format. Step7: Click OK to complete MDB to CSV file conversion. One should be careful while handeling crucial information. Both manual and 3rd party solution is discussed for MDB to CSV file conversion. 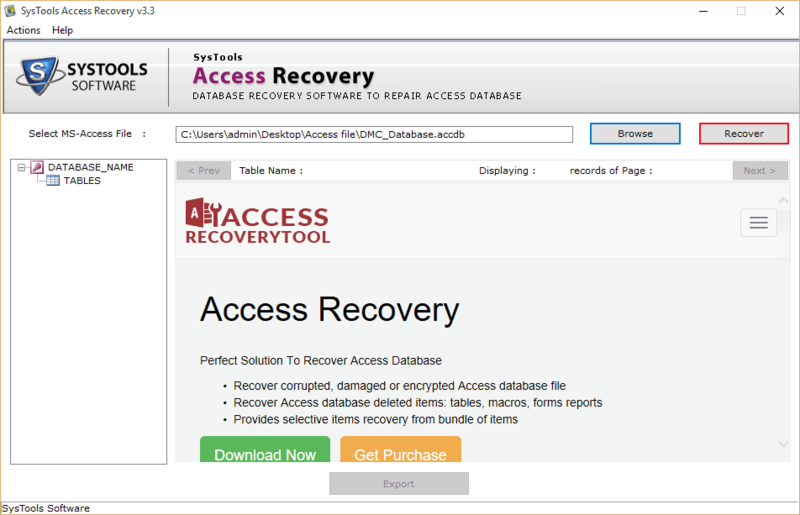 It's recommended to use Access to CSV Converter tool to get save time and secure your crucial data. Also, we have gone through in brief to answer 'How to Convert MS Access Database to CSV both MDB / ACCDB File? '.